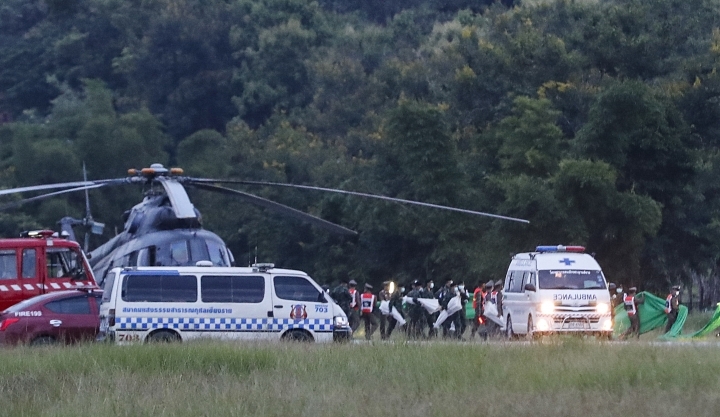 Harris's boss Andrew Pearce says in a statement the father had died shortly after the last of the 13 soccer team members was freed from the cave. Pearce says: "This is clearly a time of grief for the Harris family, magnified by the physical and emotional demands of being part of this week's highly complex and ultimately successful rescue operation." Pearce did not say how the father had died and asked for the family's privacy to be respected. The leader of the operation, Chiang Rai acting Gov. 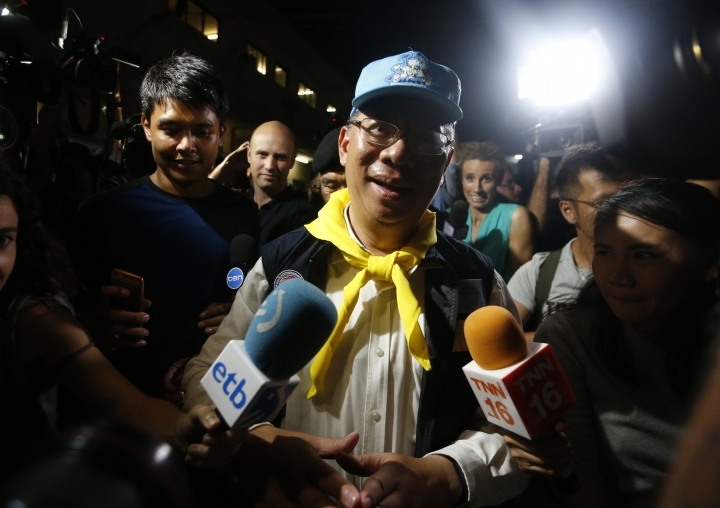 Narongsak Osatanakorn, said, "We did something nobody thought possible." One of soccer's most popular teams, Manchester United, has expressed its relief over the rescue of the Thai youth soccer team and invited the Wild Boars players and coach, as well as those who saved them, to come see them play on their home ground this season. A message posted on the ManU Twitter account said: "Our thoughts and prayers are with those affected. We would love to welcome the team from Wild Boars Football Club and their rescuers to Old Trafford this coming season." Manchester United is very popular in Thailand, with 135,000 "friends" on the local fan club's Facebook page. The international soccer federation, FIFA, had already invited the boys to attend the World Cup final in Russia this Sunday. However, doctors now treating the boys in a hospital have said it would be too soon for them to make the trip. President Donald Trump is congratulating the Thai navy SEALs and their international partners who rescued a youth soccer team and their coach after more than two weeks of entrapment in a cave. Trump tweeted: "On behalf of the United States, congratulations to the Thai Navy SEALs and all on the successful rescue of the 12 boys and their coach from the treacherous cave in Thailand." Eight boys were freed on Sunday and Monday, with the remaining four and their coach rescued on Tuesday. Thailand's prime minister says the 12 boys saved from a flooded cave were given an anti-anxiety medication to help with their rescue. Asked at a weekly news conference Tuesday if the boys had been sedated, Prime Minister Prayuth Chan-ocha said, "Who would chloroform them? If they're chloroformed, how could they come out? It's called Anxiolytic, something to make them not excited, not stressed." Prayuth also said the Tham Luang cave will be closed for some time. He said it needs to be made safe so it can be developed into a tourist destination. 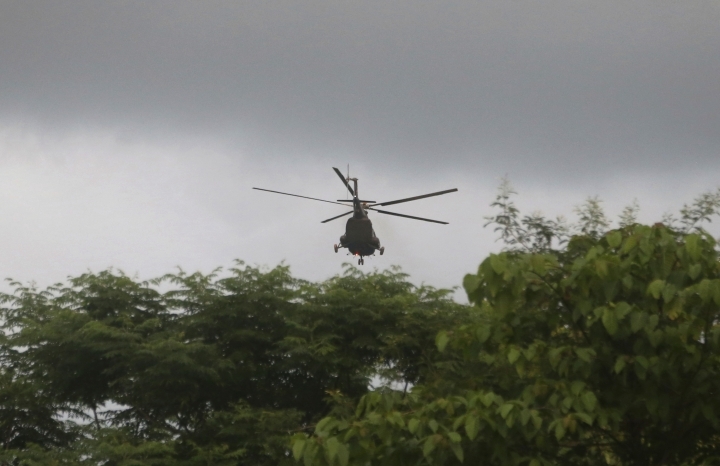 Thailand's navy SEALs say all 12 boys and their soccer coach have been rescued from a flooded cave in far northern Thailand, ending an ordeal that lasted more than two weeks. The SEALs say they're still waiting for a medic and three Navy SEALs who stayed with the boys to emerge from the cave. Rescuers hope to complete their mission Tuesday after rescuing four boys on each of the previous two days. That left four boys and their 25-year-old coach still in the cave. The 12 boys and their coach were trapped by flooding in the cave more than two weeks ago. Thailand's navy SEALs say a ninth boy has been brought out of a flooded cave in the country's far north. The SEALs said on their Facebook page that "the 9th Wild Boar was out of the cave at 4:06 p.m." Tuesday, referring to the name of the trapped boys' soccer team. Rescuers hope to complete their mission Tuesday after rescuing four boys on each of the previous two days. The 12 boys and their 25-year-old coach were trapped by flooding in the cave more than two weeks ago. 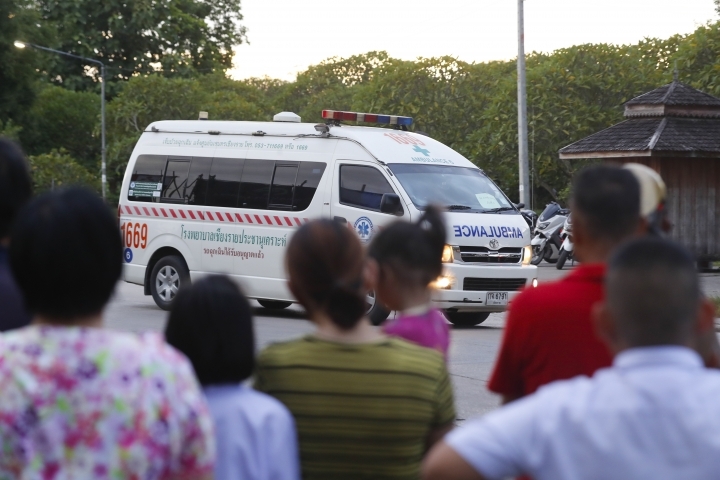 An ambulance has been seen leaving the site of the Thai cave where divers are carrying out what they hope is a final mission to bring out four boys and their soccer coach still trapped deep inside. 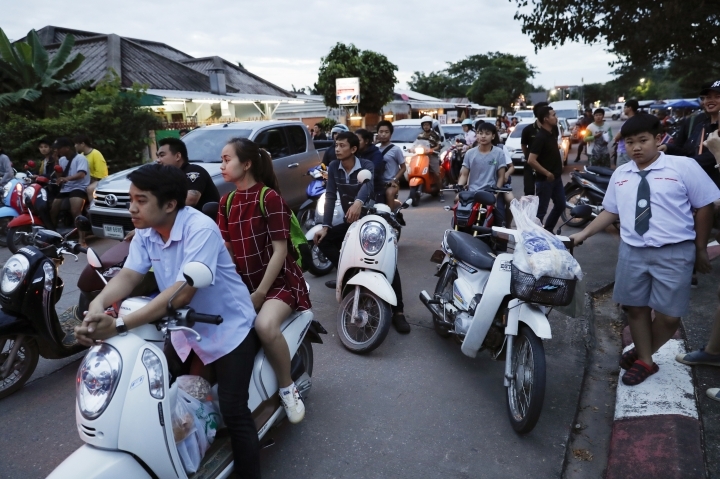 At least nine ambulances have been waiting at the site after the leader of the rescue operation said Tuesday's aim was to bring out all five as well as a medic and three Thai Navy SEALS, who have been with the trapped boys. 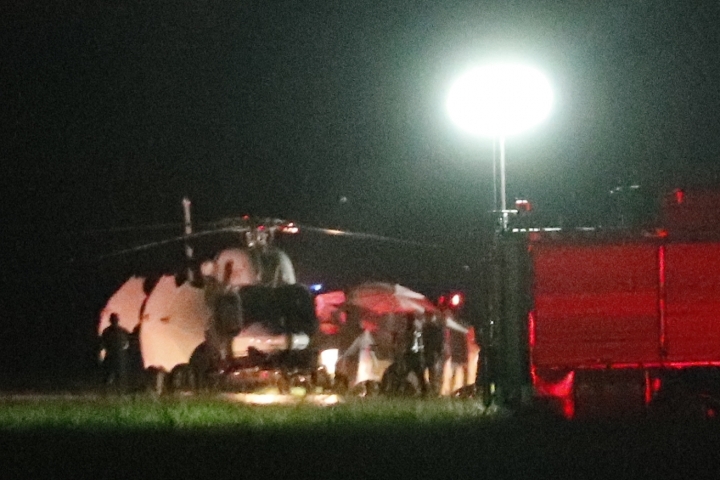 Tuesday's operation began just after 10 a.m. In the past two days, eight boys were rescued and are now in a hospital isolation ward while they are tested for any possible infections. Medical experts say they are in high spirits and generally healthy. The Thai official overseeing the effort to rescue members of a teen soccer team trapped in a flooded cave says a third rescue operation has begun Tuesday and aims to bring out the remaining four boys and their coach. Chiang Rai Gov. Narongsak Osatanakorn says the rescue mission began at 10.08 a.m. and involves 19 divers. He said a medic and three SEALS in the cave, who've been looking after those trapped, will also come out. Narongsak said, "We expect that if there is no unusual condition ... the 4 boys, 1 coach, the doctor, and 3 SEALs who have been with the boys since first day will come out today." 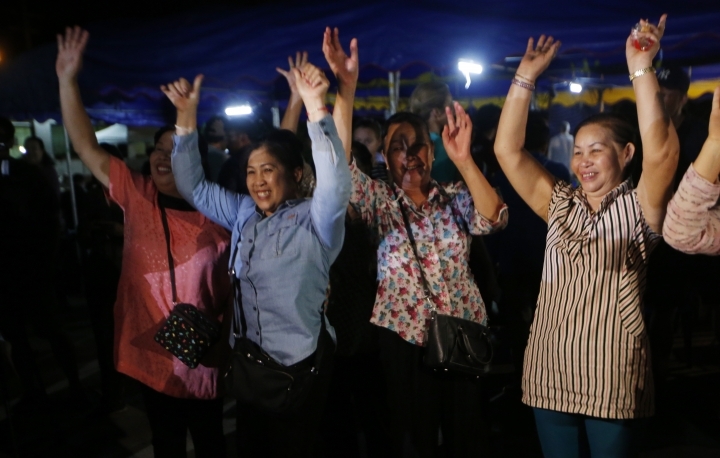 A Thai public health official says the eight boys rescued from a flooded cave in northern Thailand are in "high spirits" and have strong immune systems because they are soccer players. 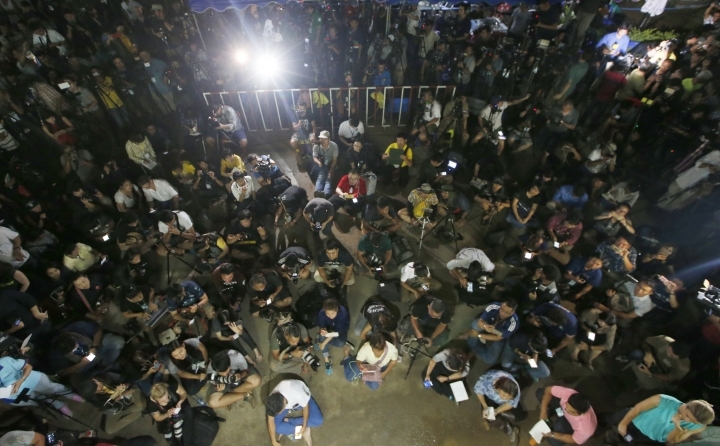 Jesada Chokdumrongsuk, deputy director-general of the Public Health Ministry, said Tuesday that the first four boys rescued, aged 12 to 16, are now able to eat normal food. He said two of them possibly have a lung infection but all eight are generally "healthy and smiling." He said, "the kids are footballers so they have high immune systems." Family members have seen at least some of the boys from behind a glass barrier. Four boys and their soccer coach remain in the cave.